Welcome to the world of SEA&STYLE. Come on board and enter a new dimension of yacht presentation. for a single, individually customized yacht or for a showcase model from series of vessels. Reset your sails with us. The simulation can also be used during the building process to document the progress for the shipyard and the customer. This enables the customer to request changes during the various stages of construction. 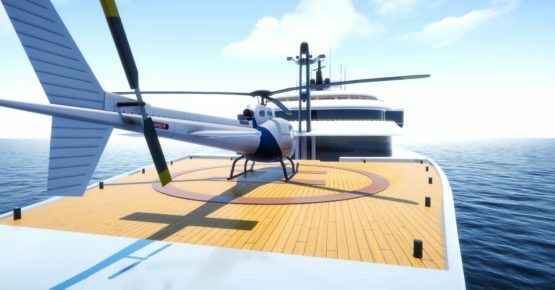 If needed, you can board the yacht with almost any form of transportation in the simulation: helicopter, tender or other watercraft. on the screens in the simulation. Display technical equipment with a single keystroke, such as air-condition shafts complete with animations showing the paths of incoming and outgoing air, and enable your customers to make the changes they desire. Present a sailing or motor yacht in an individually tailored environment – at anchor in a roadstead or in front of a customer´s own property. High-definition 3D laser scanning enables any location to be used for presentations, whether it be a dockyard, a berth in a marina, places around the world for trade fairs or moored in front of a customer‘s piece of real estate. Change the time of the day or night in seconds to get a perfect impression of how the lighting changes the mood. Choose any form of lighting your heart desires. by furniture or in floors. 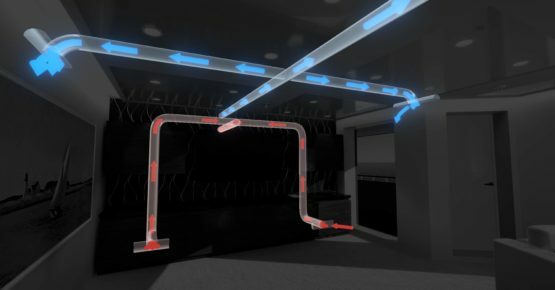 Instantly change the color of any surfaces on the yacht, and the time of day and position of the sun to see how the color scheme would look in all conditions. Change the colors and materials of furniture, floors, walls and decorations to lend the interior your own special flair. Choose any form of lighting your heart desires. SEA&STYLE can generate any lighting mood, with ceiling lights, wall lights or indirect lighting by furniture or in floors. Use a headset for virtual reality, which allows you to view any fitting in 360° and change its color, materials or even its size. You would like a personal SEA&STYLE presentation? 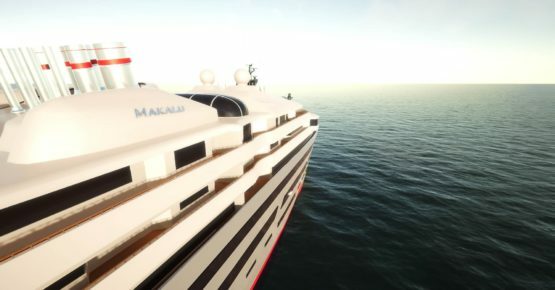 Sea & Style - The custom yacht simulator. A service of: thirdDimensionDesign, Heiko Ganssl. In cooperation with Pipedream Media GmbH. 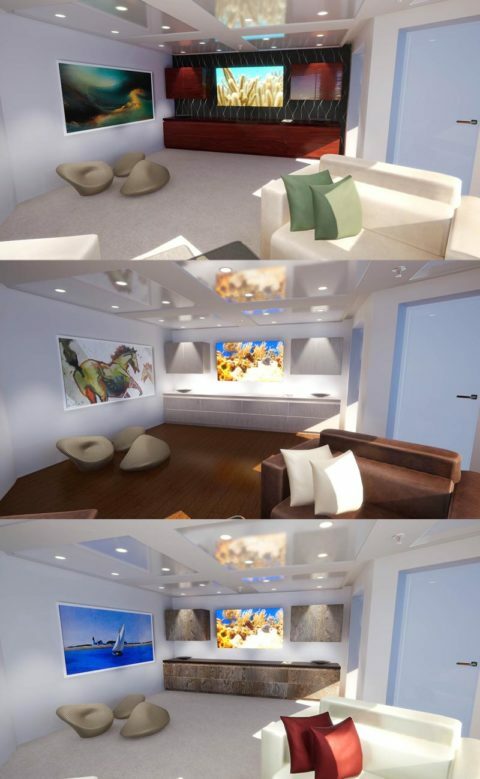 thirdDimensionDesign has many years of experience in the fields of architecture, yachts and 3d design. 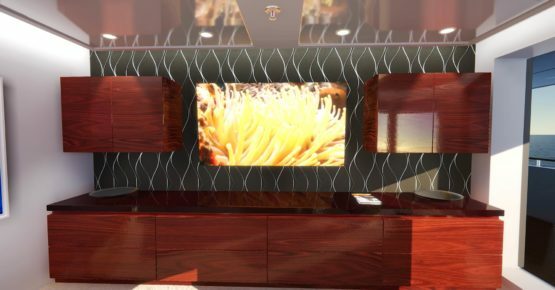 With SEA&STYLE thirdDimensioDesign has now created a new dimension of the yacht presentation. You want a presentation? Visit us at our office / showroom in Puchheim near Munich or arrange an appointment with us in your premises! This function has been disabled for SEA&STYLE.